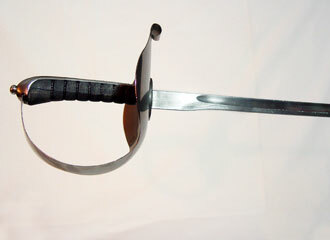 The Spanish sabre is a military weapon intended to be used as an infantry/artillery sabre. Its techniques, methods and principles are firmly based on the teachings of the early Spanish masters. Utilizing powerful cuts along with thrusts the Spanish sabre found equal use on the battlefield facing other weapons as well as for personal combat on the dueling field. The system of Spanish sabre taught is based on the teachings of Don Simon De Frias (1809) and Don Jaime Merlo Y Casademunt (1862, 1878).